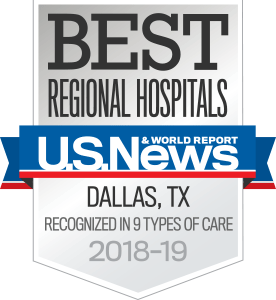 UT Southwestern Medical Center is home to one of the premier centers in the world for the study, diagnosis, and treatment of mental health and addictive disorders. We have extended the reach of our mental health care to the Behavioral Health Clinic at the Medical Center at Richardson/Plano. Our caring board-certified psychiatrists and psychologists offer an extensive range of top-quality mental health services in an outpatient setting. We are dedicated to helping people who are experiencing problems with work or relationships, or with symptoms such as depression or anxiety. We work with adults, couples, and families. If you're experiencing distress associated with trauma, major illness, or recent loss of a loved one, our approach to maintaining good mental health is to provide the support and guidance that reduces anxiety, depression, and the physical symptoms that often accompany acute distress. During times of transition and change, such as family relocation, career change, divorce, college graduation, marriage, and having kids, good counselors serve as an objective observer, pointing out unhealthy patterns or emotional vulnerabilities that often impair decision making. When depression and anxiety have taken over and left you feeling stuck and experiencing lethargy, hopelessness, and associated physical symptoms, a behavioral health specialist works with you to facilitate insight, to set healthy goals, and learn and master effective coping strategies that can serve you for the rest of your life. Our behavioral health doctors center their care on compassion. They also rely on the strength of their research in the mental health field, using the latest, most effective treatments to deliver outstanding patient care, whether for medication treatment, psychoanalysis, interactive therapies, or inpatient medical treatments.